If you are charged with a traffic ticket in Chatham, do not just pay it, because we can help you fight the charges. Call 1‑866‑801‑8299 to reach Ticket Defenders®*, the leader in traffic ticket defence in Chatham, Ontario. If you have a Careless Driving, Stunt Driving, Speeding Ticket, Seatbelt, No Insurance, Drive Suspended, or any other traffic ticket, Ticket Defenders®* can help you. MTO ticket? - No problem. We can help you protect your professional driver's licence. Our agents, traffic ticket defence specialists, have a decade long history of defending Highway Traffic Act charges. In cases when a charge cannot be withdrawn entirely, we can almost always have it reduced to a lesser offence and/or stop you from incurring demerit points. 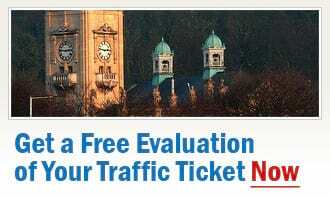 Ticket Defenders®* offers professional and affordable defence of traffic tickets in Chatham. Let us help you fight your speeding ticket and other tickets, protect your driving record and insurance rate.